Under his direction, there is no limit on how high the Seminole programs will go. Florida State Golf will remain in excellent hands in the foreseeable future, as it was announced on June 5, 2015, that Jones’ contract was extended through the 2020 season. Jones is also playing a key role in securing the redevelopment of the Seminole Golf Course through the services of Nicklaus Design. With golf legend Jack Nicklaus and his son Jack II at the helm of the project, the Nicklaus Legacy Course is expected to be completed in the Fall 2019. Heading into the 2018-19 spring season, FSU has finished in the Top five in 67 of its last 100 tournaments played. Building championship teams and elevating those teams onto the national stage is also nothing new to Jones, who has earned five conference coach of the year awards and led 16 of his 21 teams at the Division I level to the NCAA Championship tournament. His teams consistently hold prominent places in the national rankings, are adept at winning conference championships and are annually among the top producers of All-American and all-conference performers. Hank Lebioda, who played at FSU from 2012-16, will go down as one of the top golfers in school history. The four-year letterwinner leaves FSU as the program’s career leader in par or better rounds (76), percentage of counting scores (93.4 percent) and birdies (467). The Winter Springs, Fla., native was the 2016 ACC Player of the Year, a four-time All-ACC Team member, a two-time All-America and a two-time ACC Player of the Month. Having an FSU legacy in his family, Lebioda embodied the true of meaning of being a Seminole. On July 23, 2017, he won his first pro tournament at the Mackenzie Investments Open in Montreal, Canada, and began playing on the PGA Tour in January 2019. Jones coached Brooks Koepka – the school record holder for lowest stroke average in a single season (71.09) and for a career (71.85) – the ACC Golfer of the Year in 2010 and 2012 and a three-time All-ACC selection. Koepka was named the ACC Golfer of the Year twice, the ACC Rookie of the Year in 2009 and earned All-American twice in his career in leading the Seminoles to four consecutive NCAA Tournament appearances and two top-10 NCAA Championship Finals finishes. As a senior, Koepka tied the school record with a nine under par score of 63 in the third round of the FAU Spring Break Invitational and set the school record with his 199 total for three rounds of the event. Koepka won three events as a senior – at the Brickyard Collegiate Championship, the Seminole Intercollegiate, the FAU Spring Break Invitational. Koepka secured his status on the PGA Tour by tying for fourth place in the 2014 U.S. Open, and finished the 2015 season with Top 10 major finishes at The Open Championship (T-10th) and the PGA Championship (T-5th). He won his first tournament at the 2015 Waste Management Phoenix Open, and caught many’s attention with an impressive 3-1 record at the 2016 Ryder Cup for the United States. He then captured his first Major Championship at the 2017 U.S. Open in Erin Hills, and became the first golfer in 29 years to win back-to-back U.S. Opens when he conquered Shinnecock Hills in 2018. Koepka capped the 2018 season with a PGA Championship (his third major already) and earned the 2018 PGA Tour Player of the Year Award. Jones is married to the former Cathy McVeigh, who is the coordinator of financial aid for student-athletes at Florida State. They are the proud parents of a daughter, Jordan (17) and a son, Drew (13). Jones earned his bachelor’s degree in health and physical education with a minor in business administration from North Alabama in 1991. Jones is a 28-year veteran of the collegiate coaching ranks. 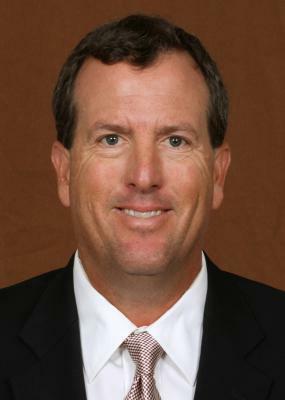 He was the head men’s coach and Director of Golf Operations at Georgia State for eight years (1996-2003) before becoming only the fifth coach in the history of the Seminole program in 2004. Prior to his career at Georgia State, Jones was an assistant coach at Wallace State Junior College (1992-95) and his alma mater North Alabama (1991). Jones developed his teaching, coaching and recruiting philosophies as he helped hone those programs into national contenders.